Fairytale lovers, add ‘Visit Luxembourg Castles’ to your list! 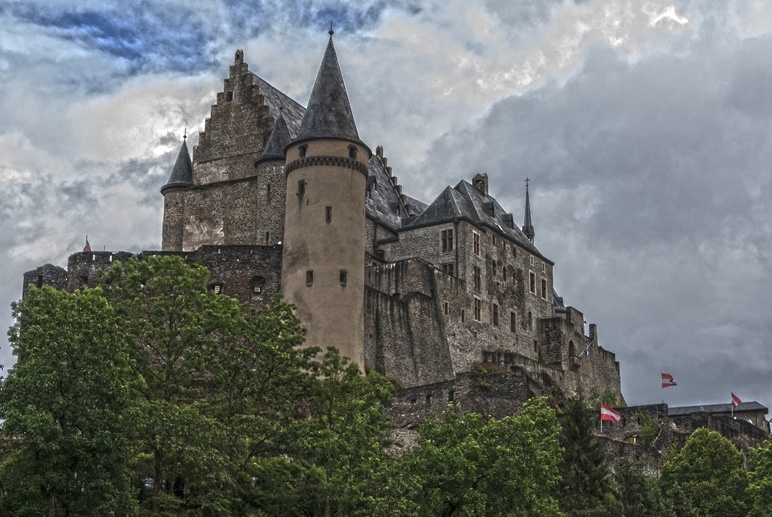 The tiny European country of Luxembourg is full of castles, about 130! 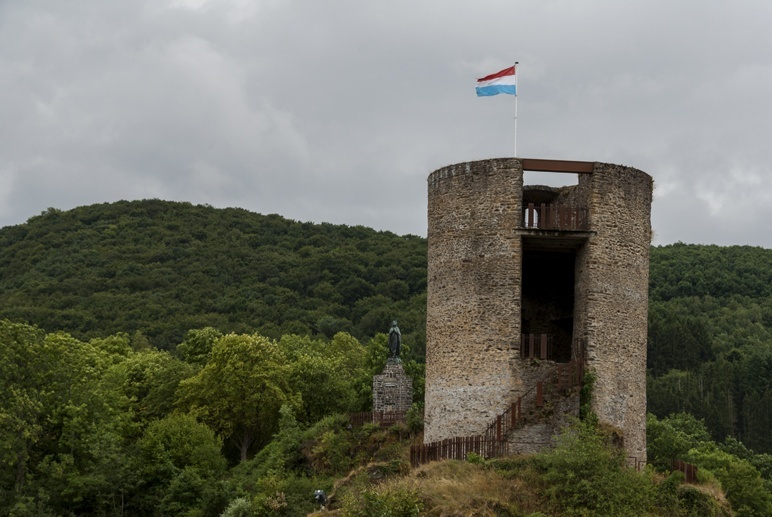 Here we’ve collected 13 of the best Luxembourg castles, with info on the history and what to do in each one! When I was invited to spend a weekend in Luxembourg, I didn’t know what to expect. I knew very little about the country – that it was one of the founder members of the EU, location of several multinational companies, and that it was one of the wealthiest countries in Europe. The time we spent in the country was a lovely surprise – Luxembourg City, the capital, is a vibrant and multicultural place, with a young population and a lot to offer in terms of music and culture. Despite being tiny, the country offers mountains, hiking opportunities in the stunning Mullerthal region, places where you can explore wartime or industrial history, and lots of bicycle trails. I was surprised by how much there’s to see and do in Luxembourg! Yet, what surprised me the most were how many Luxembourg castles there are. Literally, you can find a castle anywhere you go! There’s no way we could see all 130 castles in just one weekend, but we managed to explore 13 – check out the best fairytale castles all over Luxembourg! If there ever was the perfect location to build a city, that must be Luxembourg City’s. It stands at the confluence of two rivers, the Alzette and Pétrusse, and it’s surrounded by hills and canyons, making it a natural fortress. Looking at the city from the walls of Luxembourg Fortress, you can imagine what the first tribal settlers thought. There is water, there are mountains all around us – we will be safe. Luxembourg Fortress was actually built in the high Middle Ages by a local lord, on the location of a former roman fort. The Luxembourgish name of the country is ‘Lëtzebuerg’, meaning ‘little castle’. 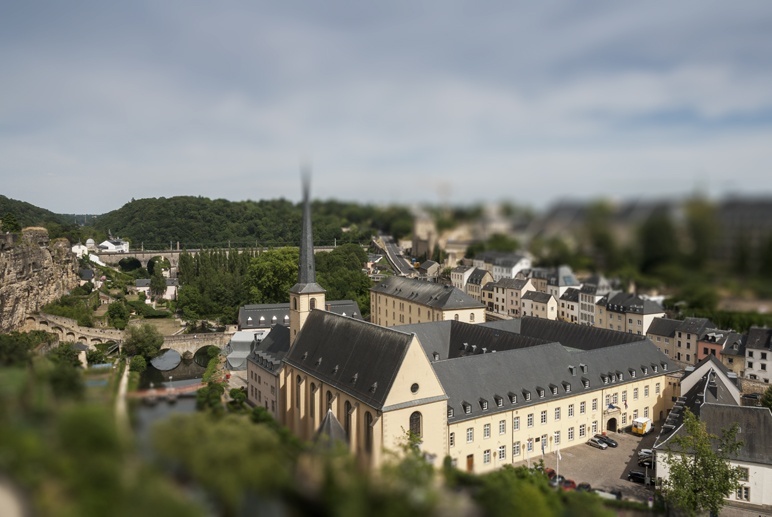 In fact, a city developed over the centuries around the fort, and it became the capital of Luxembourg, originally a Dutch province, of great strategic value because of its position between France and Germany. The fortress was expanded over the following nine centuries. It changed hands several times – from Luxembourgish lords to the Spanish, French, Austrians and Prussians – and each new owner made their own additions and improvements. The fortress became so strong and impregnable that it was known as ‘Gibraltar of the North’. It was mostly torn down in 1867, after France and Prussia nearly declared war over it the previous year. At the same time, Luxembourg was declared neutral. Nowadays, you can walk around the city following Chemin de la Corniche, developed on the location of the former fortress walls. 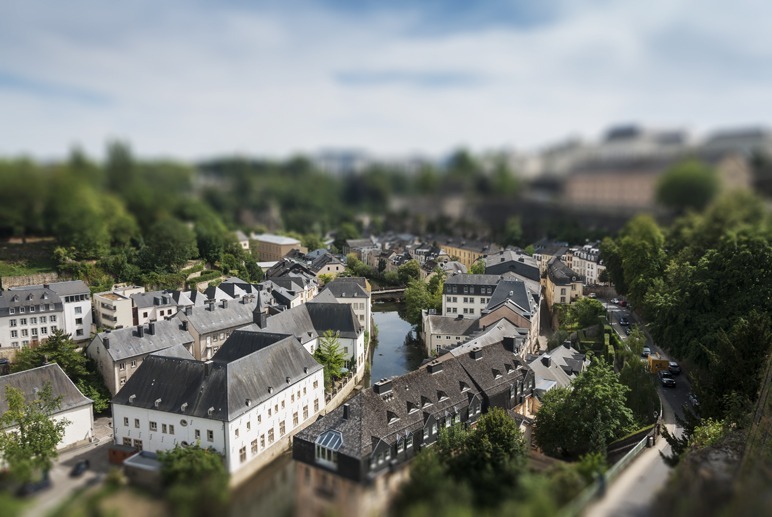 Part of the walls survive, and from the highest point you can see the whole of the ancient nucleus of Luxembourg city lie before you – little houses with grey roofs, the river Alzette and its valley, trees and gardens with flowers in bloom. To learn the secrets of Luxembourg’s impregnable fortress, it’s possible to visit a network of underground passages and tunnels into the surviving sections of the wall known as casemates. At the height of the fame of Luxembourg Fortress fame in the 18th century, the casemates were in fact an ‘underground’ city within the city walls – they accommodated 1200 men and included kitchens, bakeries and other workshops. They were also used a bomb shelters in WW2, accommodating up to 3500 people. Check out the best hotels near Luxembourg City! 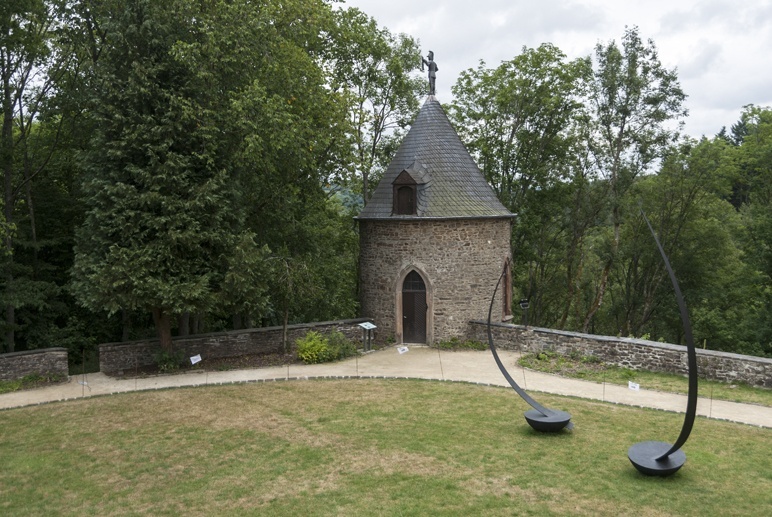 The tiny castle of Esch-sur-Sûre is one of the oldest in the country, dating back to the high Middle Ages, two hundred years before the first Luxembourg Castle was built. Like many other castles around the country, it was originally built in Romanesque style and improvements were added over the centuries, like the round defensive tower and castle walls, dating back to Gothic times. Very little is left of it, as it was demolished in the 17th century after being conquered by the troops of Louis XIV. You can still walk on the walls and see the village below, built on the banks of the river Sûre. Some village houses were built adjacent to the castle walls, and as such escaped demolition. Despite not there being much to see, it’s a place full of atmosphere. Tourists are few and far between, and you can feel like an old castle guard, patrolling the rampart and protecting the lives of the villagers below. Check out the best hotels near Esch-sur-Sûre here! Out of all castles in Luxembourg, Vianden is the one that comes closer to my medieval fairytale castle fantasies. Part Romanesque part gothic, built in slate, Vianden castle towers atop a hill over the city of the same name. The golden age of Vianden was the 13th and 14th century, when the castles of Luxembourg were ruled by local lords. The counts of Vianden built the castle over a period of 300 years, and made it one of the most beautiful and wealthiest residencies in Western Europe. The castle was restored to its former glory in the 1980s, after having fallen into disrepair. I just said Vianden is the most ‘medieval’ of all the castles we visited in the country. That is partly because of its appearance, and partly because when we visited, the Vianden Medieval Festival was in full swing. The courtyard and interior of the castle were crowded with stalls selling medieval-inspired merchandise, like wooden bows and swords, and even ‘medieval bonbons’. We saw a belly-dance show in the ‘Byzantine Room’ and a falconry show on the castle battlements. Locals seemed to take the medieval excitement seriously and we spotted a few of them in full period gear – a lady even took her ‘unicorn dog’ along. Cheesy? Maybe. 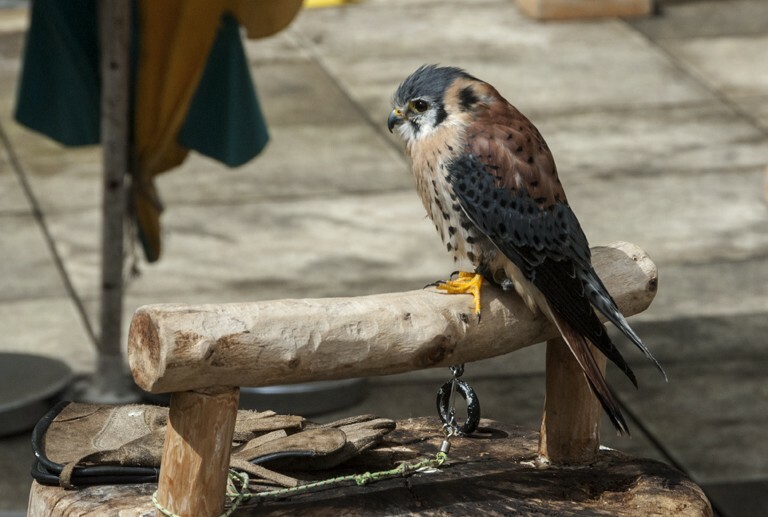 I did love the Medieval Festival. It was a fun local celebration, unpretentious in its simplicity, that manages to bring visitors back to the castle’s golden era. Check out the best hotels near Vianden here! From the Middle Ages until Luxembourg’s conquest by French revolutionaries in 1794/5, the country was ruled by local lords, each reigning over their piece of land from the height of their castle. When a lord died without descendants, their relatives would take over – sometimes fighting for the castle, other times simply living together. The castle of Bourscheid in the northern part of the country is an example of this. When Lord Bourscheid died without sons in 1512, three families moved in. Each of them built towers and keeps, and expanded the living quarters within the walls. The castle now is mostly ruins, but it’s still possible to get an idea of how it was. Unlike many others, Bourscheid wasn’t near a village, and so it was an ‘autarchic’ castle, with everything produced on site – from weapons to wine, bread, pottery and more. Part of the original pavement survives ,with tracks left by centuries of chariots inching their way on the steep incline atop with the castle stands. We also learned a funny anecdote about Bourscheid. During one of many sieges, the castle people were about to starve – all that was left within the walls was a cow and a sack of grains. They decided to feed grains to the cow, butcher it and then throw its stomach over the castle walls. The army below, that was also tired and starved after months of siege, saw the grain-filled stomach and retreated, thinking that food supplies must still be high and so the castle able to resist for a long time, if even a cow can be fed grains during a siege. Check out the best hotels near Bourscheid here! Similarly to Vianden, Clervaux Castle dominates the village of the same name from above. However, it doesn’t have the same graceful, fairytale middle age appearance. It was originally a Romanesque stone castle, but what we see today is largely the product of reconstruction, after the original Clervaux Castle was destroyed during WW2. During its lifetime, the castle changed hands several times. One of the owners were the De Lannoy family from Belgium. Another branch of the family, from Leuven in Belgium, were ancestors of the American president Franklin Delano Roosevelt – ‘Delano’ is said to be a contraction of ‘De Lannoy’. But back to wartime Luxembourg. The country had been declared neutral since 1867. Yet, Hitler invaded in 1940 – the little country’s strategic importance at the end of the French Maginot line made it a target. The country was occupied by Nazi troops for 5 years. Liberation began short after D-Day in 1944, but it was delayed until 1945 by the Battle of the Bulge, the German offensive launched in December 1944. 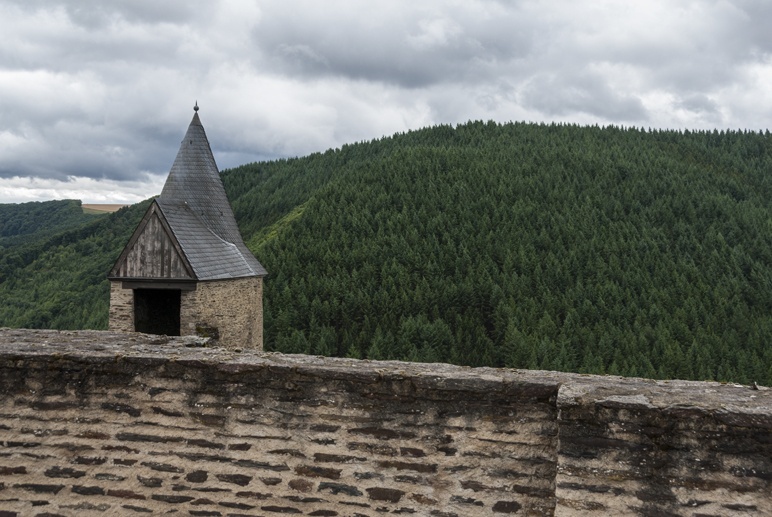 Clervaux Castle was near some of the fiercest clashes of the Battle of the Bulge. It was hit by heavy artillery that the Germans had developed during their final attempt against the Allies, and it was left a burned-out shell. Nowadays, the castle has been rebuilt, and its whitewashed silhouette once again towers above the village. 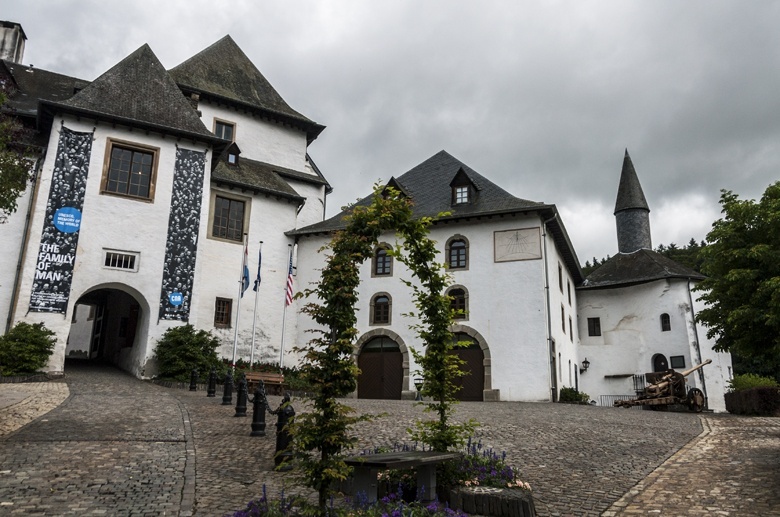 It’s well worth a visit for the museum dedicated to the Battle of the Bulge, and because it houses a permanent exhibition of models of other Luxembourg castles, so it’s a great place to visit to plan your visit of castles around the country. It is also well known for the permanent exhibition ‘The Family of Man’ by Edward Steichen, that sadly we didn’t have time to visit. Check out the best hotels near Clervaux here! Pretty much all castles we visited so far were located somewhere above the town or village they were built to protect, on a hill or a rock. Wiltz Castle, instead, was pretty much smack-bang in the centre of town. It’s actually the third castle ever built in the village of Wiltz, after the previous two were destroyed by sieges and wars. The Wiltz castle we see today is one of the youngest in the whole of Luxembourg, built in Baroque and Renaissance style between the 17th and 18th century. It took nearly a century to be completed. In summer, it’s worth visiting for the Wiltz festival, featuring music and theatre performances on the castle gardens. The interiors of the castle house a small exhibition dedicated to the Battle of the Bulge and the National Brewery Museum, introducing Luxembourg’s beer industry with a taste of local brew – the best way to finish a day tourism Luxembourg’s castles. Check out the best hotels near Wiltz here! 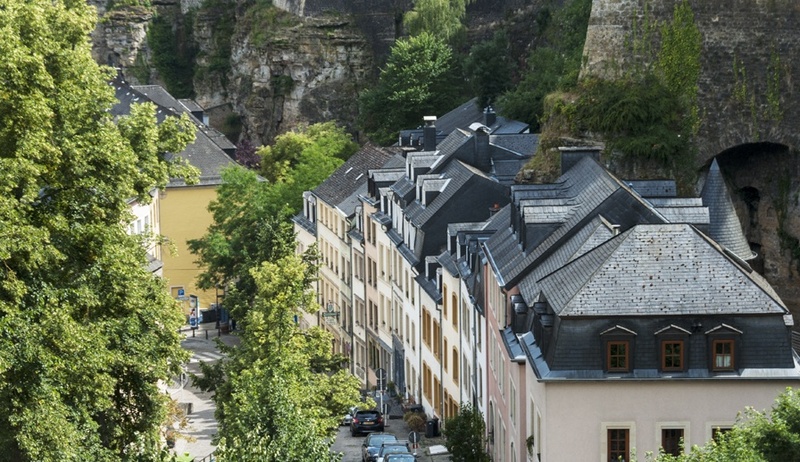 The Eisch valley in central Luxembourg is also known as ‘the valley of Seven Castles’, and it’s definitely one of the best places to go to see Luxembourg Castles – you can easily rent a bike and see all seven in one day. A local legend says that the devil walked across the valley carrying a bag of seeds, but the bag had a hole and seven beans fell out – and later turned into the the seven castles, found in the valley. Within the valley, Ansembourg is definitely a not-to-be-missed destination, since there’s not one castle to see, but two. Let’s start with Ansembourg Old Castle, built in the 12th century, and still home to the counts of the region. The interiors of the castle cannot be visited as it’s a private property, but it’s possible to walk around and take some pictures. This castle is well known because of its library, containing over 6000 books including the Codex Mariendalensis, a manuscript on vellum in the ancient Moselle Franconian language, and one of Luxembourg’s original epic poems. The New Castle of Ansembourg is only about 1.5 km away, and it was built in the 17th century by Thomas Bidart, one of the pioneers of the iron and steel industry in Luxembourg. For this reason, the castle was named Maison des Forges (House of the Ironworks). Yet, this ‘tough’ name is in contrast with the elegant symmetrical façade, which truly makes it one of the most beautiful castles in Luxembourg. The French-style Ansembourg Castle gardens are open every day, with exotic plant species and fruit trees to see. The castle grounds also host regular events. Check out the best hotels near Ansembourg here! 8) Hollenfels Castle – Including a Youth Hostel! Only in Luxembourg you can stay in a youth hostel in the grounds of a castle! Hollenfels Castle is located in the village of the same name and also part of the Valley of Seven Castles. It was built in the 12th century and its name means ‘Hollow Cliff’, in reference to the hollows on the rock where it’s built. The castle changed hands several times throughout history, moving from one local noble family to another. It was used as a camp for prisoners of war until 1948, when it was acquired by the government of Luxembourg, and turned into a youth centre. The youth hostel is located in the 18th century bailey, but lots of events are housed in the castle itself. Check out the best hotels near Hollenfels here! 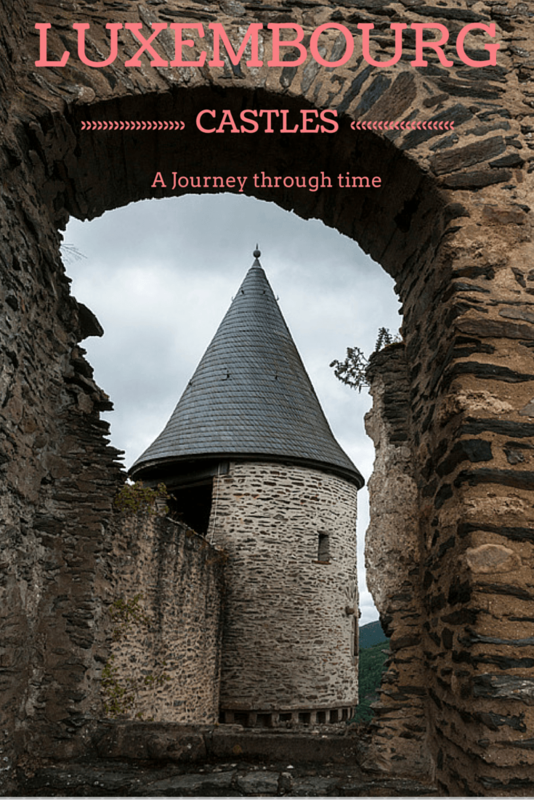 9) Beaufort Castle – Two Castles in One! Beaufort Castle is in the Mullerthal region, also known as Luxembourg’s Little Switzerland, and it’s actually super close to the Mullerthal Trail, the best long-distance hike in the country. Beaufort is a really special Luxembourg castle because there are two buildings from two different periods in time – a Medieval and a Renaissance castle. The medieval castle is mainly ruins, but it is possible to get in from April to October, to check out the dungeons and rooms inside, and climb to the top of the observation towers. It is also possible to visit the Renaissance chateau next door, tour the beautifully-decorated rooms, and taste the iconic blackcurrant liqueur produced in the cellars. Check out the best hotels near Beaufort here! Useldange Castle was built during the 11th-12th century, the ‘golden time’ for Luxembourg castles, when many of them where built. Sadly, only ruins are now left, but they’ve been fitted with stairs and platforms to allow access to various levels. One of the most interesting features of this castle is the keep, which was once accessible, but was closed at the time of writing. There’s also a trail around the castle with signs providing information on the castle’s history and architecture, and every June there’s a Medieval festival! 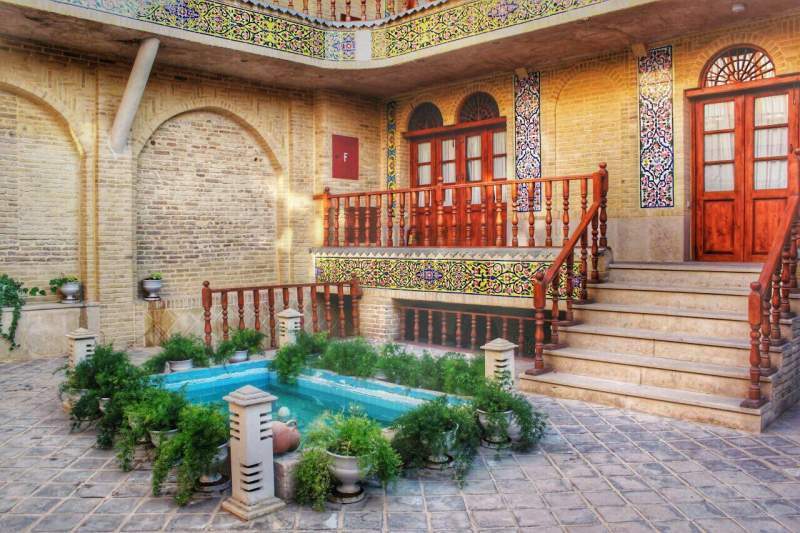 Check out the best hotels near Useldange here! Larochette castle is located not far from the namesake town, high on a steep cliff overlooking the valley created by the White Ernz river. The castle is surrounded by a rampart and it can be accessed via a bailey, and once inside you can appreciate not only the main building, but also the mansions surrounding it, since at its peak the castle was home to five important families. Larochette castle burned down at the end of the 16th century, and it was never rebuilt. 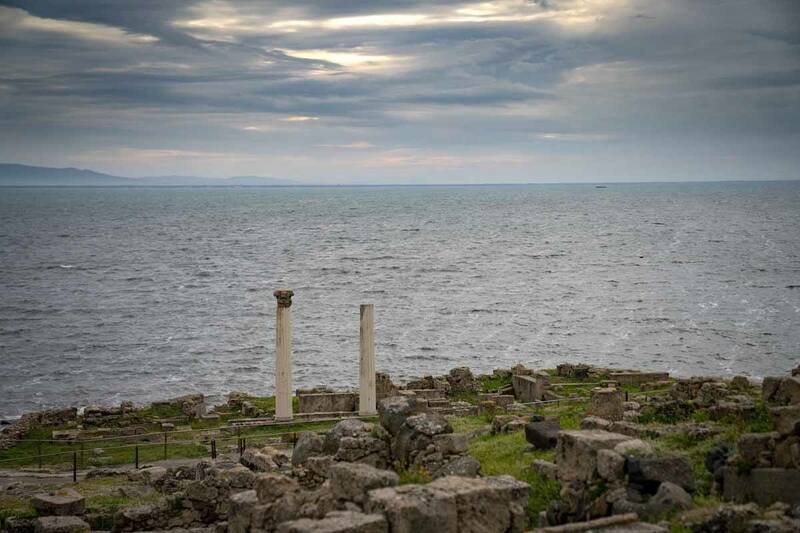 Now only ruins survive, but the castle is worth visiting because of its panoramic position and historical significance. There’s also a mysterious well in the castle grounds, believed to be inhabited by a steward who was turned into a dragon after betraying the castle lords. Check out the best hotels near Larochette here! 12) Bourglinster Castle – with a Michelin-starred restaurant! Not only can you stay in Luxembourg castles, you can also eat at a Michelin-starred restaurant located in one! I am talking about Bourglinster Castle, home to La Distillerie, run by chef René Mathieu and serving a menu with lots of vegetarian offerings – a true rarity in a country where most local dishes are meat-based. Whether or not you’re going to have dinner, Bourglinster castle is worth a visit, and it is open year round. The castle built in the 12th century but it was renovated recently and it is now in good conditions, with a moat, fortified gates and two defensive towers. Events often take place in the castle, including art workshops in the barns within the castle grounds. Check out the best hotels near Bourglinster here! This is not actually a castle, but I’ve decided to include it in this list for two reasons. First, because it’s the Grand Duke’s residence for official missions – Luxembourg is the only Grand Duchy in the world. The rulers of the past lived in castles, while the heads of state of today live in palaces, protected not by walls and crocodile-filled moats, but by layers of security. And that leads to the second reason. The Grand-Ducal palace is surprisingly accessible. It’s right into the centre of Luxembourg City, without high gates, hedges and grumpy guards. With its pretty sandstone facade, it sits right in the middle of Place du Marché aux Herbes, just opposite the Chocolate House, a great lunchtime spot by the way. You can visit the palace inside during summer, or just wander around it, taking pictures of it without being reprimanded by burly security. 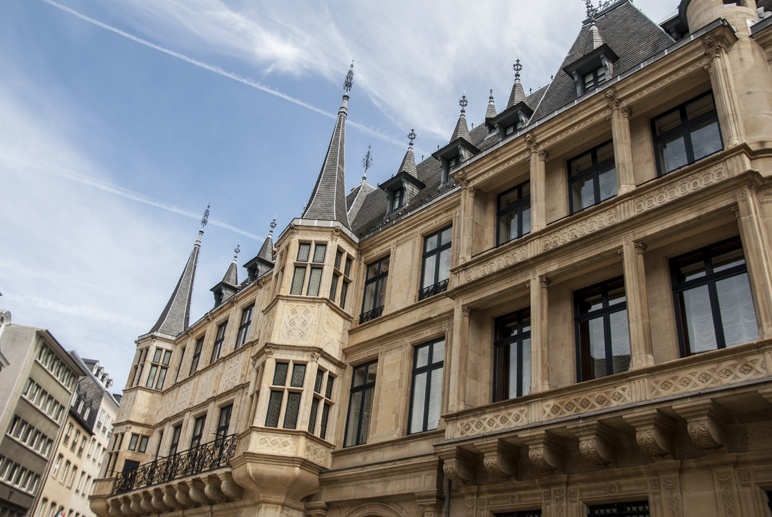 In a way, I thought that the Grand-Ducal palace was a great symbol of modern Luxembourg. Even though we only spent three days in the country, I was surprised by how friendly and village-like it felt. The capital only has 120,000 residents, only 35% of which is Luxembourgish – people must know one another, I thought. On my flight home, I read an article that proved that to be true. One of Luxembourg City’s few homeless men was sitting under a porch without shoes, when he was spotted by the Prime Minister. Oh, Tom! What happened to you? The prime minister asked. My shoes were stolen last night, Tom said. The prime minister told him to wait just a second, and went off to buy a pair of new shoes for him. There aren’t many countries in the world where the Prime Minister knows homeless people by name and takes time to help them out. This, in a nutshell, was Luxembourg for me. A small community, where people know and care for one another. A place with a rich history, and a future that can only become richer and more interesting, thanks to the hundreds of thousands of people that come every day to the country to work, and those who moved in recent years from elsewhere in Europe and beyond, and now call Luxembourg home. If you’re planning to travel around the country to visit the castles, definitely get a Luxembourg Card, allowing you to enter over 70 sights and to travel for free on all buses and trains. Luxembourg recently announced that public transport around the country will become free in the summer of 2019 – great news! The 72 hour card is only €28, and the family card (that can be used by up to 5 people) only €68. Considering that entrance to each castle is around €5-7, you definitely get your money’s worth. The castles can be visited by public transport – there’s a great Luxembourg transport app with the timetable of all buses and trains. If you have only one day and don’t have your own car, visiting all the castles can be difficult. In that case, get in touch with Visit Luxembourg for the full or half day castle tour, organised by the Regional Tourist Office Ardennes. I was a guest of the Luxembourg Tourism Board during my time in the country. All opinions are my own. I love these castles. Your photos and stories invite me back to the country. We stayed in a hostel with a view of Vianden Castle lit up at night, from our window. After reading this, I cannot remember why we didn’t tour it in the morning. Maybe someday. Gorgeous pictures! I love old towns and castles and Luxembourg looks like my kind of place. Thanks for sharing your experiences! Thank you! Luxembourg is a lovely little place! Like the way the pics make the towns look like models. Luxembourg is somewhere I know basically nothing about. Even the Duke keeps a low profile. Will visit in 2017. Thanks for your comment! Hope you’ll enjoy your trip! Oh, I couldn’t agree more with this article! Luxembourg is such a hidden gem in Europe and has so much to offer. I also really liked the castle and I did enjoy some excellent wine tasting when I was there. Do you have anyone I could contact for a listing of all castles in Luxembourg? Pictures of the castles of histories of them? Thanks much for any assistance you could give to me. Thanks so much for your comment Lori. I’ve reached out to my contacts in Luxembourg and will get back to you shortly!